Northville Ballet, formally known as Timberlane Dance, founded in 2008 by Artistic Director, Kathy Cooke, in Northville, MI, is a classical Ballet studio that trains dancers in the Cecchetti method of Ballet, and inspires them to dance for the glory of God. Timberlane Dance is an active studio of the Eastern Committee of the Cecchetti Council of America. Come and experience the warm, family atmosphere and professional training at Timberlane Dance. Originally founded to train home schooled students, we offer afternoon classes Monday-Friday. Please see our Schedule of classes. While our primary focus is classical Ballet for all ages, we also offer Pointe/Variations, Contemporary Christian Dance and Tap. Northville Ballet Theatre, founded in 2014, is a non-profit 501 (c)(3) company, bringing the Classics and Contemporary Christian Dance to the community. Students of Northville Ballet perform in our annual Nutcracker Ballet and Christmas Dances production, spring Concert of Dance, outreach performances and mission trips with Northville Ballet Theatre. Northville Ballet Theatre performances benefit the families of Northville Civic Concern. Northville Ballet Theatreis supported by Friends of Northville Ballet Theatre. Donations help to fund Northville Ballet Theatre guest choreographers|dancers and build scholarships towards summer Intensives for our dancers. To learn more about becoming a Friend of Northville Ballet Theatre please go to Northville Ballet Theatre page. Established by Maestro Enrico Cecchetti, the Cecchetti method is professional training which develops all of the qualities essential to the dancer: balance, poise, strength, elevation, musicality, etc, through a graded syllabus of examinations. It is classical in its purity and style. Enrico Cecchetti, (born June 21, 1850, Rome, Papal States [Italy]—diedNovember 13, 1928, Milan, Italy), Italian ballet dancer and teacher noted for his method of instruction and for his part in training many distinguished artists. Both of Cecchetti’s parents were dancers, and he was born in a dressing room at the Tordinona Theatre in Rome. 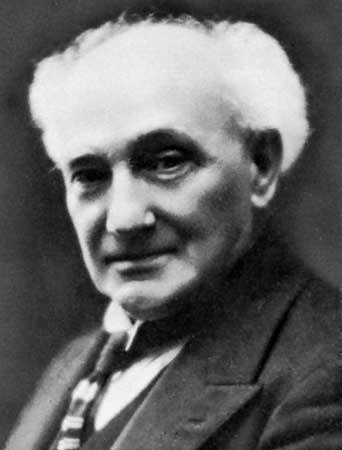 A pupil of Giovanni Lepri, who had studied under Carlo Blasis, Cecchetti developed a brilliant technique and was noted for his pirouettes. Popular throughout Europe, he appeared with great success at La Scala in Milan and in London. In 1887 he went to the Mariinsky Theatre, St. Petersburg (now the Kirov State Academic Theatre of Opera and Ballet), where he created the roles of the Bluebird and Carabosse in Pyotr Ilyich Tchaikovsky’sSleeping Beauty. Between 1890 and 1902 Cecchetti taught many dancers of the Imperial Russian Ballet and its associated school, including Olga Preobrajenska, Tamara Karsavina, and Vaslav Nijinsky. From 1910 to 1918 Cecchetti was the official instructor of Serge Diaghilev’s Ballets Russes but left in 1913 to tour with his world-famous private pupil, Anna Pavlova. In 1918 he and his wife, the dancer Giuseppina de Maria, opened a school in London, where Alicia Markova and Serge Lifar were among his pupils. From 1925 he directed the ballet school at La Scala; he continued to teach until the day before he died. The Cecchetti method of ballet training prescribes a strict exercise routine using the five positions and seven basic movements of classical ballet. It is widely used both in England, where the Cecchetti Society (now incorporated in the Imperial Society of Teachers of Dancing) was founded in 1922, and in the United States, where the Cecchetti Council of America was established in 1939.